My 12 year old son and I brought our first troller from Sechelt B.C. in April this year. It was an awesome adventure that took us about 8 days. We are eagerly awaiting the upcoming troll season! I have 3 boys and they look at this forum daily and let me know of new postings and have been itching to put a Pic of our boat on here, so here it is! That's a nice looking boat with room for extra crew. Congratulations on your purchase. It sure is nice to have a young man you can count on. With three boys, it sounds like you're eventually going to need a good portion of that hold space for groceries . Peace to you and your family and we look forward to to seeing more pics as you continue. Those Canadian trolling boats are highly thought of up here. They are beautiful boats, and that one appears especially well cared for. I will try to keep a lookout for her this next summer. Congradulations for your kids wanting to come along. The best memories of my life are of trolling with my Dad. You've got some good times coming. Thanks to both of you very much! Hopefully this boat will last us a long time! My boys are 9,12,13 and are super excited! It is a Freezer Troller so I will need all the help I can get! Princess Pat III was known here as an excellant sea-boat, built by one of the finest boatbuilders here. It is one of the better Fredette designs. Sad for us to see her gone, but great to see her used for what she was built for. Best of luck. Thank you Salty hope to meet you someday! And Clinkerboy thank you as well. Maybe you knew the original owner of her " Blair Pearl" out of Sechelt? She was his baby and took excellent care of her. All new decks, Sister ribs from house back were installed when he put in the freezer and a new John Deere 6068 all done in 2006 and 2008. We will do our best to put her to good use this coming troll season! Thanks again! I know Blair, actually the boat was built for Sam Smith by Buford Haines in a barn South of Campbell River. Blair bought it off of Sam and I think Ed Wahl did the rebuilding. The 6068 is very quiet compared to the Jimmys that I looked at in other boats. Ed Wahl did the rebuild and took a lot of care on everything. Blair put a ton of time and money into the boat. I cant wait to start fishing in this coming spring! When I was in Canada I had heard that somebody up here had purchased one of the nicest trollers in the fleet. 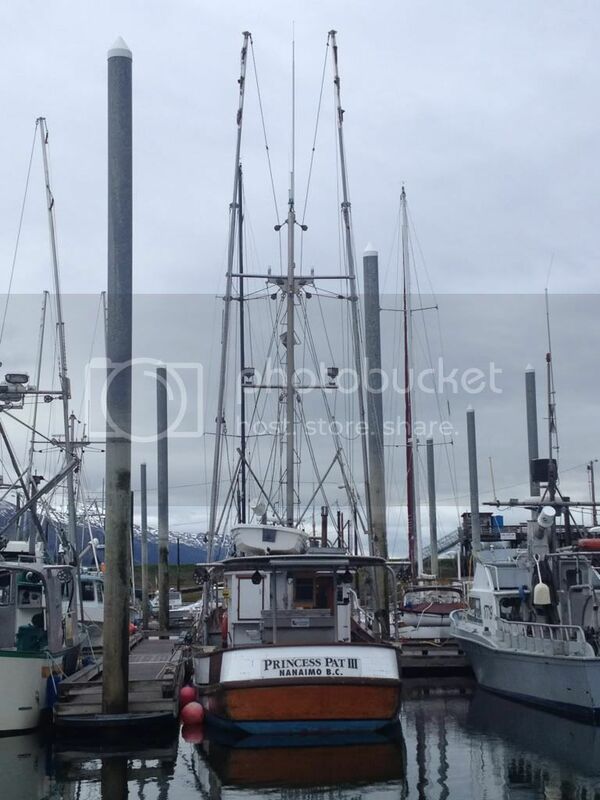 I was surprised that it was one of the first boats I had seen when I had returned to AK. 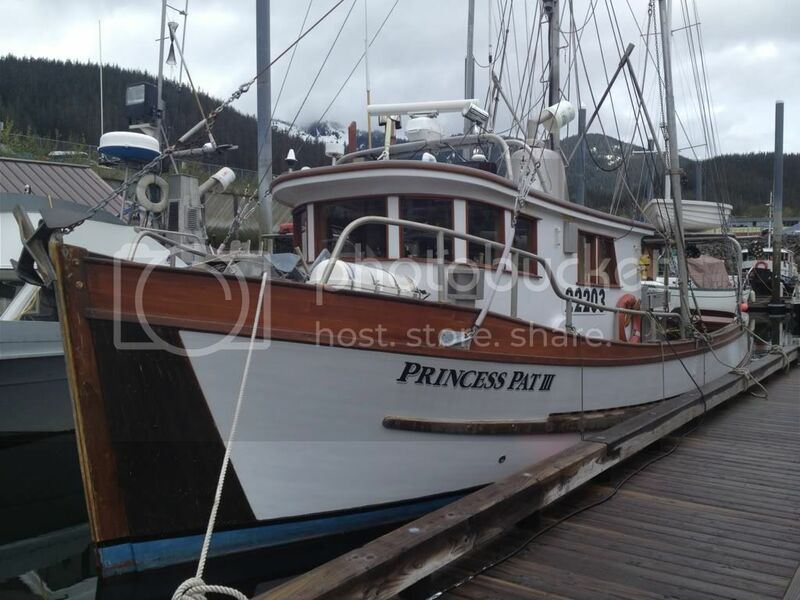 Here is the Princess Pat at Douglas harbor. Last edited by tketrol on Mon Jan 21, 2013 10:35 am, edited 1 time in total. I will have to figure out how to post a full photo. Only showed 1/2 of the one above. 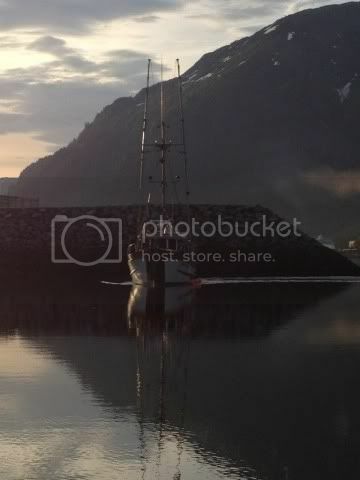 Beautiful boat. Please post more! I looked at the Boat at Elfin Cove this Summer it is a BEAUT!!! Those boys jumped off the boat and ran up the ramp like they were heading to the Fair!! How did the summer go for the Princess Pat?? Went great Joeman thanks. We had a grest time and cant wait to get back at it this summer! Nice looking boat. I bought a 46' boat built out of Port Alberni last year. Very similar design. Apparently the angled frame on the side windows is a "Canadian" thing. It's nice to find a classic wood boat that's been well taken care of. They still require a lot of work (as I'm learning) but they sure do ride nice. Good luck up north, for now I'll be hitting the WA coast.